Hockey Plumber: Big Deal For Boston: How You Like Them Apples Nathan Horton? Big Deal For Boston: How You Like Them Apples Nathan Horton? 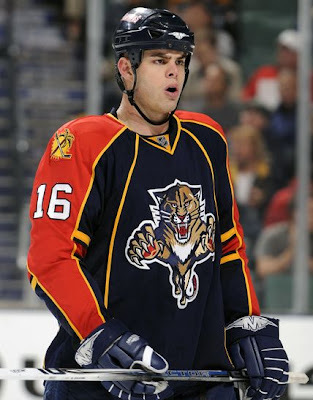 The Boston Bruins have acquired former Florida Panthers forward Nathan Horton according to Hockey Insider Darren Dreger of TSN. General Manager Dale Tallon has begun his rebuilding of the Florida Panthers. The club sent forwards Nathan Horton and Gregory Campbell to the Boston Bruins for defenceman Dennis Wideman, the 15th overall pick in this year's NHL Entry Draft and a third round pick in 2011. At the top of his game, Horton is a big-bodied, 30+ goal scorer with an attitude. Other times he is categorized as an underachiever with a questionable work ethic. Which Horton will the Bruins get?